The Institute of Transportation Engineers is an international educational and scientific association of transportation professionals who are responsible for meeting mobility and safety needs. ITE facilitates the application of technology and scientific principles to research, planning, functional design, implementation, operation, policy development and management for any mode of ground transportation. Through its products and services, ITE promotes professional development of its members, supports and encourages education, stimulates research, develops public awareness programs and serves as a conduit for the exchange of professional information. Founded in 1930, ITE is a community of transportation professionals including, but not limited to transportation engineers, transportation planners, consultants, educators and researchers. Through meetings, seminars, publications and a network of nearly 17,000 members, working in more than 90 countries, ITE is your source for expertise, knowledge and ideas. Become a student member of ITE by filling out the online form here! The Institute of Transportation Engineers (ITE) is a professional society of more than 15,000 transportation engineers, planners and other professionals in some 80 countries. The Institute facilitates the application of technology and scientific principles to research, planning, functional design, implementation, operation, policy development and management for all modes of transportation. ITE promotes professional development of members, supports and encourages education, stimulating research, developing public awareness, and establishes forum for exchanging professional information. The Institute maintains of a central point of reference and facilitates development of standards and recommended practice procedures in transportation. Its members are responsible for the safe and efficient movement of people and goods on streets, highways, and transit systems. Since 1930 the Institute has served as a gateway to knowledge and advancement in transportation through meetings, seminars, and publications. Institute programs and resources include professional development seminars, technical reports, a monthly journal, local, regional, and international meetings, and other forums for the exchange of opinions, ideas, techniques, and research. 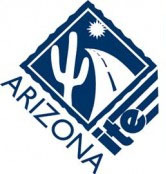 AZITE is a society of transportation professionals collectively engaged in the development of multimodal transportation systems that address current and future transportation needs of our communities. Constitution and Bylaws can be found here.